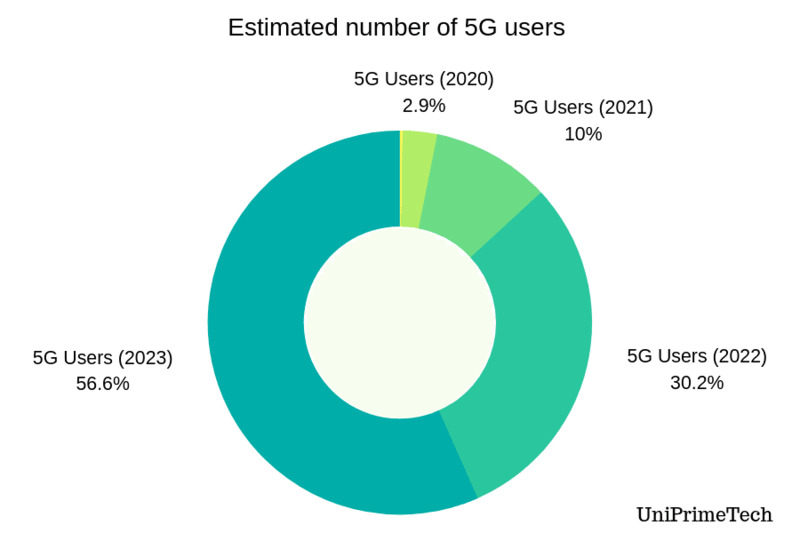 5G is the fifth generation wireless mobile communication technology of mobile network, which is designed to deliver 10x more speed than its predecessor. At CES 2019, Qualcomm showcased their 5g chipset "Snapdragon 855" which is capable to provide download speeds of up to 1-5Gbps as well as offer reduced latency of 1milisecond. 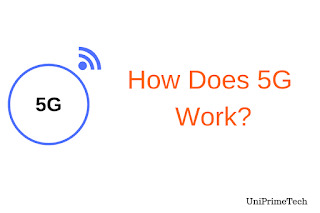 Let`s understand how does 5g work. Before explaining about working it`s better to understand what is 5g. 5G is the fifth generation of mobile networks designed to deliver fast data transfer speeds and lower latency. It can greatly increase the speed and responsiveness of mobile networks. 5G offers network management features like network slicing, which allows mobile operators to create more than one virtual network within a single physical 5G network. In a 4G network, we used the frequency spectrum ranging from 3KHz- 6GHz with a latency of 30 ms. 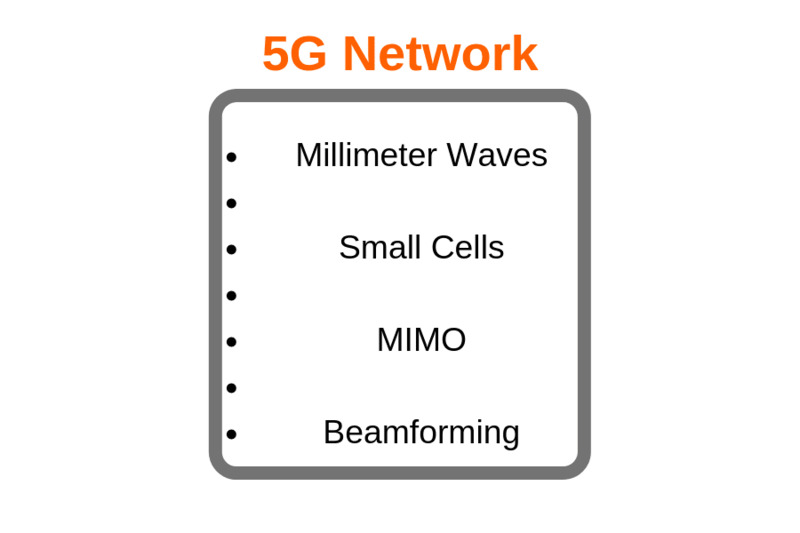 The 5G network uses millimeter waves which work in frequency spectrum ranging from 30GHz - 300GHz with a latency of just 1 millisecond. 5G technology depends upon these 4 major factors. Millimeter wave uses frequency ranges from 30GHz-300GHz. Millimeter waves, which is also known as extremely high frequency (EHF) by the International Telecommunication Union (ITU) can be used for high-speed data transfer. They`re found in the spectrum between super high-frequency waves and far-infrared waves (IR). Radio waves which lie in this band have wavelengths ranging from 10mm-1mm, giving it the name of millimeter waves. Until now this part of the spectrum was unused because electronic components were unable to generate or receive millimeter waves. These waves will be a game-changer for IOT, autonomous vehicles where a fraction of time delay can cost lives. Millimeter waves have short wavelengths and speeds achieved are very high, but millimeter waves also have very high atmospheric attenuation. As the transmission distance increases their attenuation also increases and these waves are not able to penetrate through buildings, trees, mountains. Humidity and Rain can also reduce their signal strength and this condition is known as Rain Fade. Millimeter waves have a very short range of about 300m-1000m, so in order to maintain a direct line-of-propagation, we use small cells. Small cells are low powered, short-range wireless transmission systems that have a range of 10m to a few kilometers. The height of the antenna is 1/4 of the wavelength. Since we are using millimeter waves which have a very less wavelength, the size of the antenna will also become smaller. Instead of using a single high power antenna, we use multiple smaller cells (base stations) after every 300m-1km. This method reduces attenuation and helps in delivering high speeds to greater distances. Small cells are able to re-use the same frequency many times within a geographical area. Small cells are further divided into 3 major categories based upon their coverage area and the number of users it can handle. a). Femtocells- Femtocells are low-power small base stations designed to provide extended coverage (10m-50m) to a house or small business. Using femtocells benefits both the mobile operators and consumer. Poor signal strength issue from mobile operator`s base stations can be solved by using femtocell. b). Picocells- Picocell is a small base station covering a small area (200m or below), such as buildings or aircraft. In cellular networks, picocells are used to increase network coverage to small areas or to increase network capacity in areas with dense phone usage like train stations, stadiums. c). Microcells- Microcells can support a large number of users as compared to picocells and femtocells. The range of a Microcell is less than 2Km and it is used in smart cities, metro. Multiple Input Multiple Output (MIMO) is a very efficient technology used in modern wireless communication. 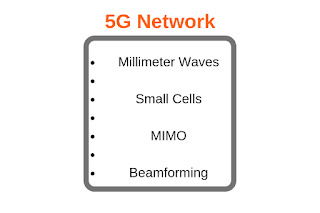 In 4G technology, we used dozens of MIMO ports to transmit signals, but in 5G technology, we use 4 times more MIMO ports than in 4G to transmit signals faster in all directions. In a MIMO system, multiple antennas transmit signal and on the receiver end, more than one antennas receive signal. Due to multiple antennas, sending and receiving signals from the same station, interference increases and to overcome it, we use a method called Beamforming. Beamforming is a method used to eliminate interferences of the signals. In this, instead of transmitting signals from all ports we first allow a single port to transmit high beam signal in a specified direction, this eliminates interference and attenuation since the high beam signal is focussed and sent into a particular direction. Advantages of 5G over a 4G network? The Full fledged fifth generation network is expected to be launched in 2020. 5G will bring faster and reliable connection to the Internet of Things (IoT), autonomous vehicles. In the 4G network, a Full HD movie takes around 8-10 min to download but in the 5G network, it will only take a few seconds. Here are some advantages of 5G over 4G. 1. Faster speed: Data transfer speeds in the 5G network will be 10 times higher than in the current 4G network. This will help in maintaining connectivity between self-driving vehicles. 2. Low Latency: In 3G/4G networks, latency was around 30ms which created a lot of problems in maintaining communication, but in a 5G network, latency is just 1ms. In the future, it will be possible for us to watch VR, AR movies without noticing any lag. 3. 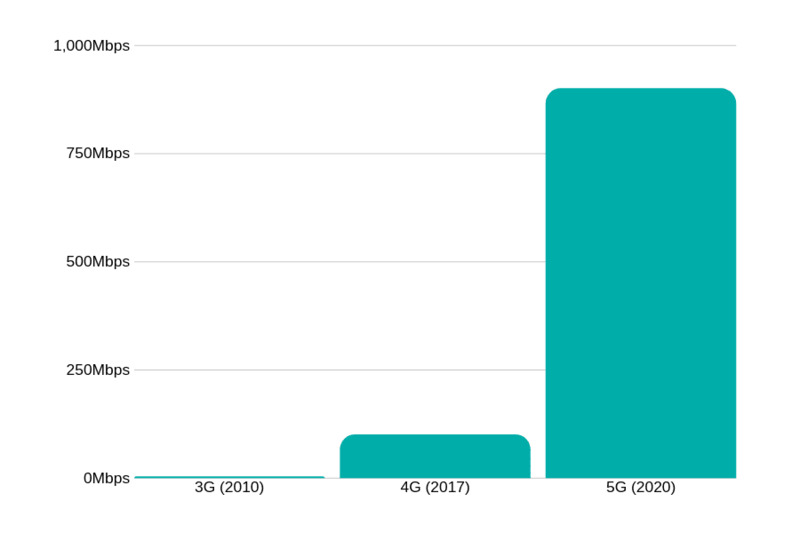 Increased Connectivity: The 5G network will have a more increased capacity over 4G. More devices will be able to communicate with each other at the same time. Many companies are currently working on 5G technology and it is not completely ready for everyday use. United States- Verizon is currently running its 5G broadband internet service at a handful of locations. AT&T has opened its mobile 5G services for selected users in a dozen cities. Verizon and AT&T will be expanding their services to some more areas in 2019. According to reports, the US government has proposed nationalizing 5G network. Canada- Telus mobility has given 2020 as the year customers can experience their 5G services, company officials also stated that people in the Vancouver area can expect early access. Rogers Communications is building a 5G test site in the campus of the University of British Columbia and it is set to go live in early 2019. Mexico- The Mexican telecommunication company América Móvil can launch their 5G services in early 2020. North America- In some areas people are already experiencing 5G and most areas will get covered until 2020. Central America- People in Central American countries will most likely see a slow 5G rollout. South America- South American will probably see 5G come out in late 2019. Chile- Entel is the largest telecommunication company in Chile and has partnered with Ericsson to provide 5G services to Chilean customers. According to press reports from Ericsson, deployment of network project will be completed this year. Argentina- Movistar, and Ericsson tested 5G in 2017 and roll it out to customers in late 2019. Brazil- Brazil has signed an agreement to develop and deploy 5G technology. According to a statement of Qualcomm director Helio Oyama, 5G will most likely hit Brazil a few years after it’s commercially available elsewhere in 2019/2020. South Korea- Three South Korean companies (SK Telecom, LG Uplus, and KT) collaborated on 1 December 2018 to provide 5G services to the country. These companies currently provide access with 5G routers. Japan- NTT DOCOMO is the country`s largest wireless telecommunication company and they have been experimenting 5G since 2010. They are set to launch 5G services in 2020. Last year NTT DOCOMO successfully achieved 27 Gbps download speed in a 5G trial with Mitsubishi Electric. China- According to China’s director of Ministry of Industry and Information Technology (MIIT), Wen Ku, “The goal is to launch pre-commercial 5G products as soon as the first version of standards comes out...”. Telecommunication operator China Unicom has stated to deploy 10,000 5G base stations by 2020. India- According to Manoj Sinha, the minister of the Department of Telecommunications, India is set to adopt 5G by 2020. India government plans to roll out 5G services for consumers by 2020 and to achieve that objective, the government has set roadmaps and action plans to bring in the latest technology. Airtel and Huawei have successfully conducted India’s first 5G network test. Reliance Jio also plans to roll out 5G services in India in 2020. Click on this link to know more. Which are 5G compatible phones? This year some countries will start using 5G services and you won`t be able to use them with your current 4G handsets. Majority of the smartphones launching this year won`t support th fifth generation network. However, in CES 2019, Qualcomm showcased some devices which will use its Snapdragon 855 Soc. Qualcomm revealed that it expects to see over 30 5G devices launched in 2019. Here`s our list of 5G compatible phones coming this year. Read our complete article on Samsung Galaxy S10. Chinese smartphone maker can launch 5G variant of P30 or Mate 30. According to reports, a 5G variant of Mi Mix 3 will arrive this year. Oppo has successfully tested their 5G handset and is expected to launch this year. 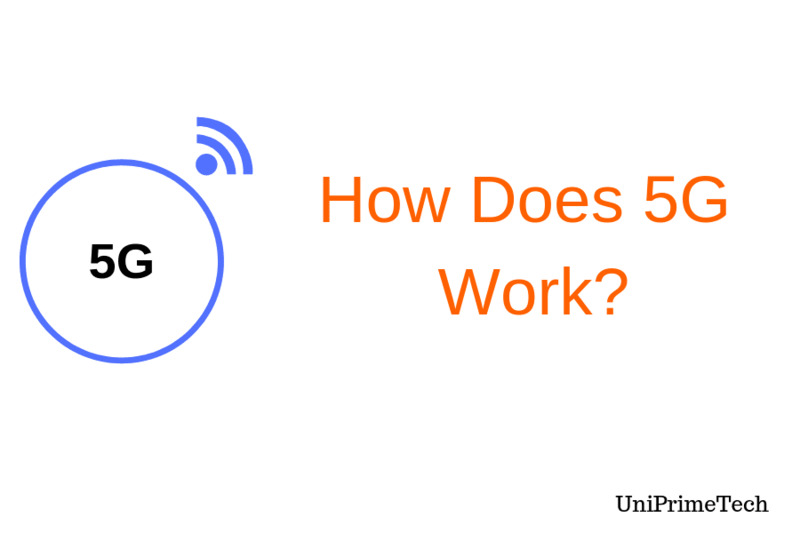 I hope you loved our blog post which was about how does 5g work. What other ideas can you add to this blog post that I may have not mentioned?